1/25th scale plastic kit from Lindberg. Plastic kit built by Eric Stone. 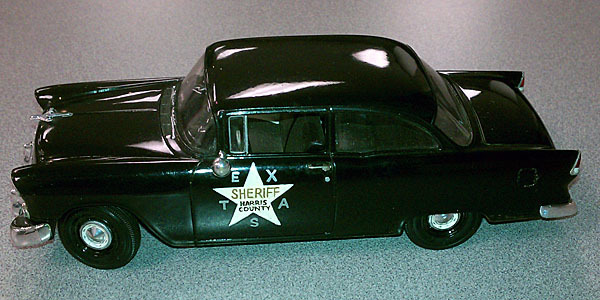 1956 Harris County, Texas, Sheriff’s Department Chevrolet patrol car. 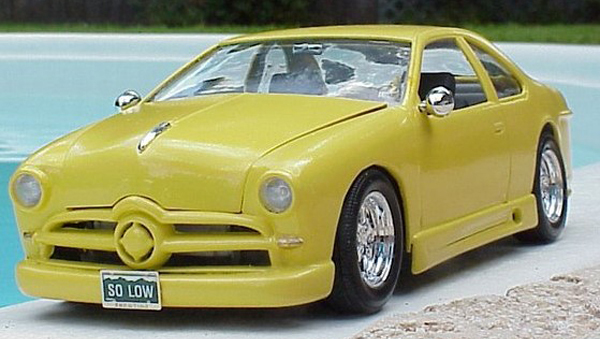 Plastic model built by Carol Grisso. 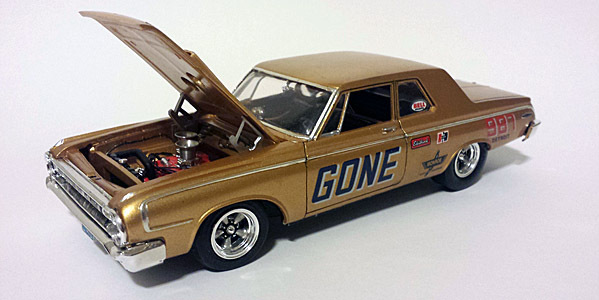 1970 AAR Plymouth Barracuda Trans-Am racer driven by Dan Gurney. 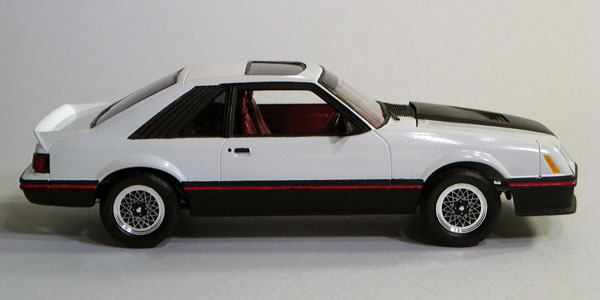 SRC 1/43 scale white metal kit built by Mike Stucker. 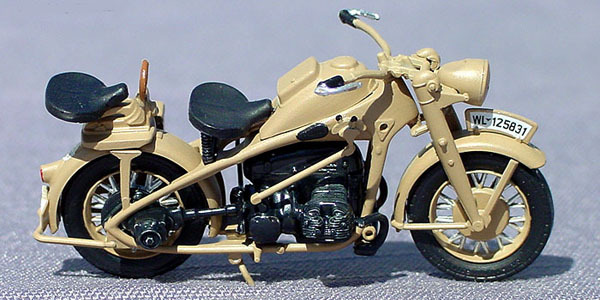 WWII German army Zundapp motorcycle. 1/35 scale Italeri plastic kit assembled by Mike Stucker. 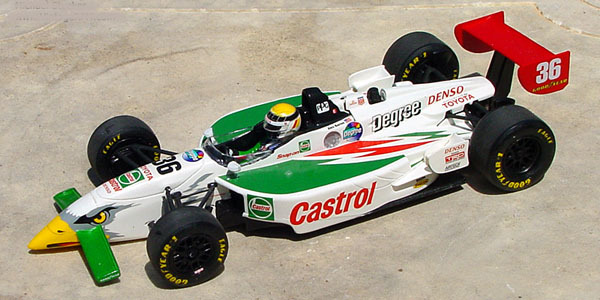 1998 Toyota-powered Reynard CART Champ Car raced by Alex Barron for Dan Gurney’s AAR team. Shown in short oval configuration. 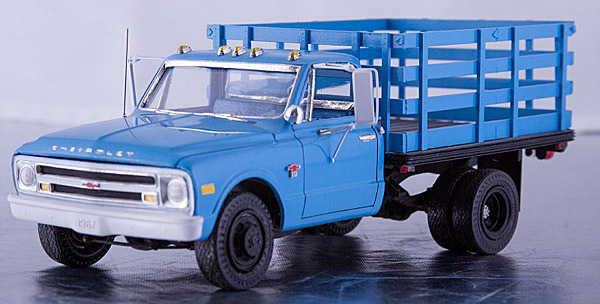 1/24 scale Revell plastic kit built by Mike Stucker.